In this warm, lively, salty account of living on and by the sea, Drummond writes of fishing and feuds, of life as an apprentice fisherwoman, and of all the fish that got away. Salt Story pays homage to sea-dogs, fisherwomen, oystermen and storytellers everywhere. ‘Too few writers capture the essence of now: the flavour, smell, feel, language. But Sarah Drummond has done it. This is real, but you know this way of life won’t last. Her account of a fishing community on the south coast of Western Australia is a gift. Salt—a real person but not his real name—delivers his philosophy while teaching Sarah the tricks, craft and dodges of making a living from the sea. Salt should be sent to lecture in the corridors of Canberra and corporate board rooms. Let me shre one of my favourite descriptions in this book, for this is a book of poetic language and earthy salty colloquialisms and rustic sepia drawings melded into a beautiful narrative: (p. 25) “Wheat silos, smooth white chrysalids, stood among the praying mantis gantry and chugging conveyor belts, orange lights, steaming mountains of woodchips, ships high on the water out in the Sound. All night, the port worked to clear the backlog. Ships in, ships out. Breathe in, breath out.” This is just one example of the visual writing that is Salt Story. I can see so clearly in my mind’s eye this large metal Praying Mantis – the description is just perfect! 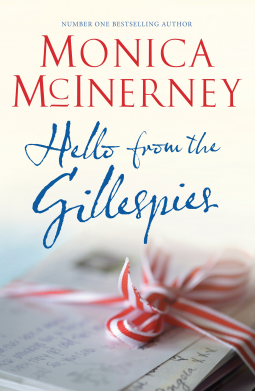 This is a beautifully written story filled with personal accounts of small scale commercial fishing in the town of Albany Western Australia, a life and a community you can feel is on the brink of extinction…or is it? Small scale commercial (Estuarine fishing in this case) are largely family run business and as such have a vested interested in keeping fish stocks at a sustainable level for the next generations. 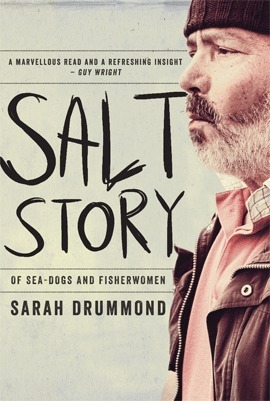 Snapshots of life in this community are told in a real and personal way, Sarah Drummond spent many years working an unofficial apprenticeship with a larger than life local fisherman, “Salt” – this is their story, their history and a glimpse of a world so few of us will experience or happen upon. 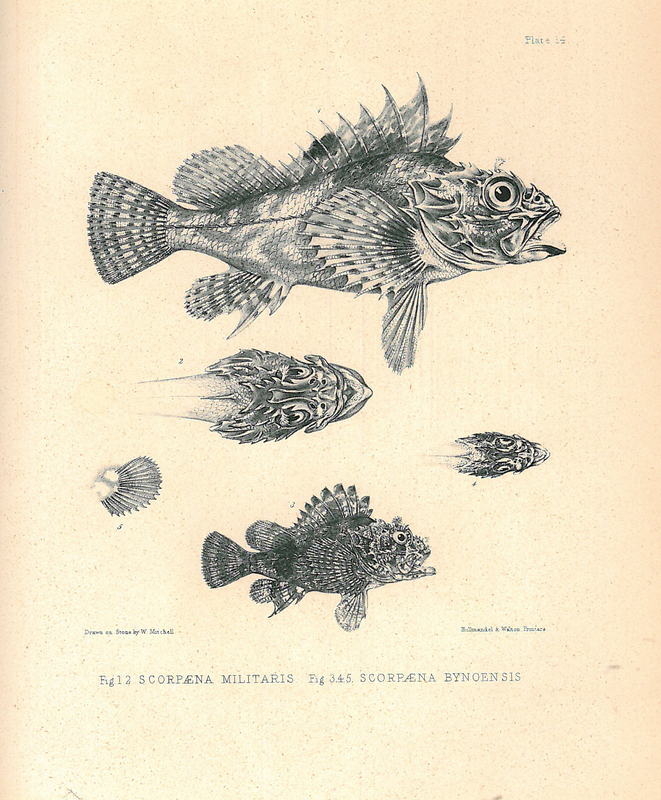 And did I mention the illustrations in this book? I fell in love with these sepia reproductions – a piece of history in themselves. A thoroughly enjoyable read told with passion and integrity. 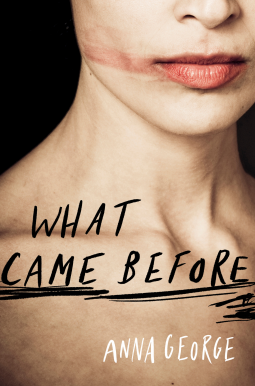 This is creative memoir at its best. Evil lurks under the surface. 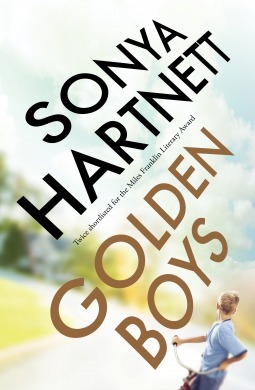 Sonya Hartnett’s third novel for adults is perfectly formed and utterly compelling, an unflinching and disquieting work from one of Australia’s finest writers. Colt Jenson and his younger brother Bastian live in a world of shiny, new things – skateboards, slot cars, train sets and even the latest BMX. Their affluent father, Rex, has made sure that they’ll be the envy of the new, working-class suburb they’ve moved to. But underneath the surface of the perfect family, is there something unsettling about the Jensons? To the local kids, Rex becomes a kind of hero, but Colt senses there’s something in his father that could destroy their fragile new lives. A book that slowly draws you into its grasp into a time of childhood innocence, of BMX bikes and playing in the local storm water drain, of BBQ’s with the neighbours… a time when kids could be adventurers and start to develop their own identity and work out their place in the world. However all is not quite what it seems, the story told through the eyes of the children in the two families that are spotlighted in this narrative are wise for their age but have not yet learnt how to deal with their wisdom. We watch them struggle to cope with realisations that their family is not quite like everyone else’s and that feelings of love and hate are not mutually exclusive within the family unit. The story opens with a display of parental teasing and Colt clearly sees the action for what it really is – a display of power over, her reflects; “There’s always some small cruelty, an unpleasant little hoop to be crawled through before what’s good may begin; here is the gift, but first you must guess its colour.” And so even at this early point in the novel Hartnett foreshadows the power plays that will form the crux of this story, power over and manipulation form the structure this narrative is welded to. This is a finely drawn picture of life in the 70’s in Australian suburbia that does not skimp on domestic detail and family dysfunction. Issues that are “family secrets” are explored and laid bare. I think one of the reasons I felt drawn to this story aside from the poignant characterisations was the ability this narrative had to take me back to my own childhood, I too was a teenager in the 70’s and found life not always that easy. I could empathise with the main characters. I could relate to these times. This is a disquieting read. The conclusion is confronting. It’s Christmas morning on the edge of the rugged Mortimer Ranges. Sarah Barnard saddles Tansy, her black mare. She is heading for the bush, escaping the reality of her broken marriage and her bankrupted trail-riding business. 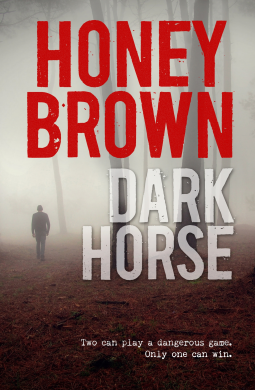 Honey Brown has again written a deeply moving and confronting narrative – again she chooses to put the difficult subjects in the forefront of our minds and challenges us to reassess the story and the issues she has presented us. The setting is incredible – the Australian bush setting is so authentic, believable and beautiful yet dangerous; you can feel the author’s passion for the setting. This book took me totally by surprise – I was expecting something along the lines of Through The Cracks, Honey Brown’s most recently released novel, something more … honest and open but what I got was a good case of “the unreliable narrator” who fooled me with her innocence and sorrow, her story of love lost, infidelity and divorce…and then the “truth” is revealed and I am so confused, I look again, I think back, I rethink…was I fooled or was I reading one person’s truth, one person’s perspective, a selective memory but a memory all the same or am I reading one person’s delusion? What a conundrum. What a fascinating read. I guarantee you will not see this ending coming! Christmas is looming, and investigator Catherine Berlin is out of a job. Broke, and with a drug habit that’s only just under control, she quickly agrees when an old friend offers her work. It’s a simple investigation with a generous fee, looking into the dealings of a small-time entrepreneur. The only catch? It’s in Russia. But when Berlin arrives in Moscow, things are not so straightforward. Shadowy figures stalk her through the frozen streets. She’s kicked out of her hotel, her all-important medication confiscated by police. Strung out and alone, Berlin turns to her interpreter, an eccentric Brit named Charlie. But Charlie’s past is as murky as Berlin’s own, and when the subject of the investigation disappears, Berlin realises Charlie may be part of the web. The only way out is to hunt down the truth, even if it kills her. 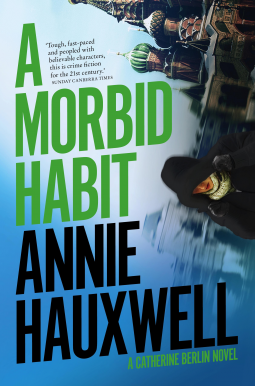 Morbid Habit is a contemporary mystery/crime novel that is liberally laced with scenarios that could feasibly occur in today’s political and social climate. Deception, political manoeuvring, phone hacking, elements of “big brother” and the very popular “legally correct” process of being seen to be acting with “due diligence” (forgive my cynicism, it has been earned over time), these aspects are cleverly woven into this novel, all exist in the landscape of the modern world that we live in today; Hauxwell has established a setting that is both real and possible and this potential adds an extra layer of tension to the narrative. And settings are what this book revels in! The cold, the sense of isolation and hopelessness is finely drawn. The bleakness, the greyness of London and Russia is demonstrated with fine brush strokes. The tough existence for those on/below the poverty line is painful to read, the solidarity expressed by those in similar circumstances is uplifting, Hauxwell writes as if she has experienced these worlds. The plot is complicated and interesting – you are never really sure who side anyone is on or what the truth is. The truth is… unpalatable. Hauxwell’s characters are tough, corrupt, flawed. The protagonist however is strong, principled and carries the scars of many battles. Her life has not been easy, I hope there is some reprieve for her down the track. Tantalisingly honest and thought provoking. The voice of Just Millie is enchanting and engaging and will break and then mend your heart. Karl the Touch Typist, eighty-seven, once used his fingers to type out love notes on his wife’s skin. Now he types his words out into the air as he speaks. Karl is moved into a nursing home but in a moment of clarity and joy, he escapes. 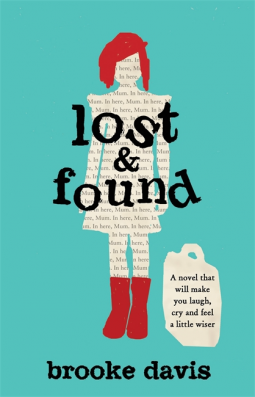 What an incredible debut novel – this narrative is sad, sweet, funny, enchanting, engaging and tackles life’s big questions without fear, with honesty and store mannequin called Manny! The main characters in this story share so much about what makes them human – warts, strengths, wrinkles and all. In this book we discover that old age is not the same as death… that we are all going to die one day…why don’t we talk openly and honestly about the future, about life and death and how we cope with loss– these experiences are inevitable and will affect those around us and ourselves of course, one day…and yet these events/experiences are so much a mystery, a taboo, we could all do with a little Just Millie aka Captain Funeral inside us prompting us to ask the awkward or uncomfortable, seeking honesty not platitudes. I loved this narrative. I loved the main characters; gum booted Just Millie, Agatha Pantha and Karl the Typist, such fun and outrageous personalities, I loved reading their coming of age stories. The voice of Just Millie charmed and engaged me and made me shed a tear. This author writes with such wonderful insights, this is a charm to read.